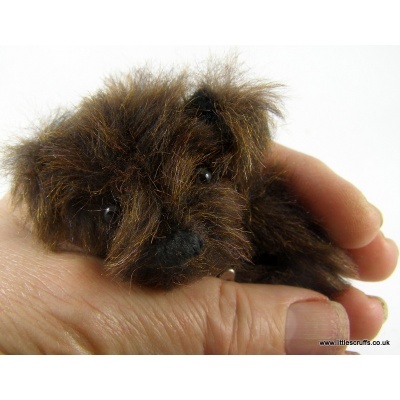 This is the third dog made from a small piece of 1930's faux fur given to me by a wonderful lady, now 102, who is still sewing amongst many other things! 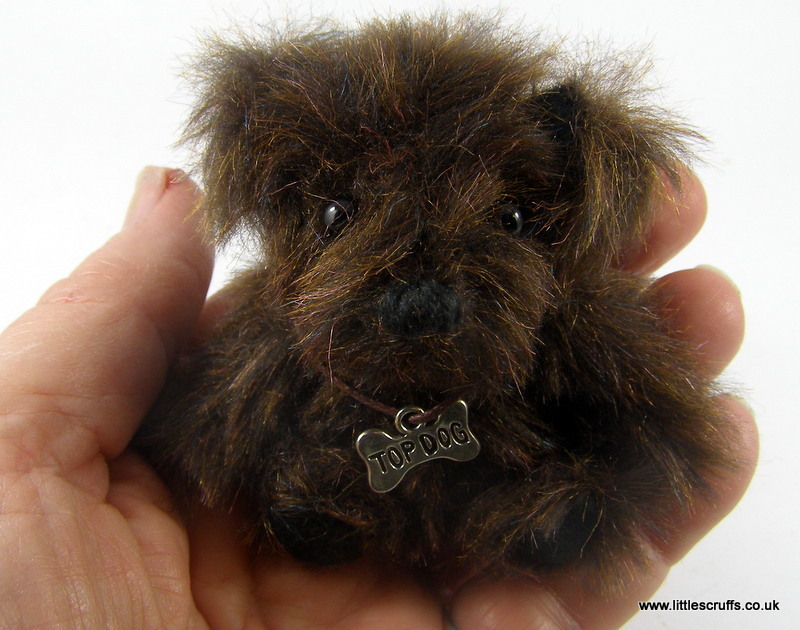 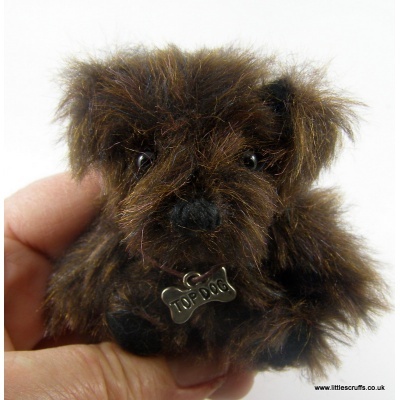 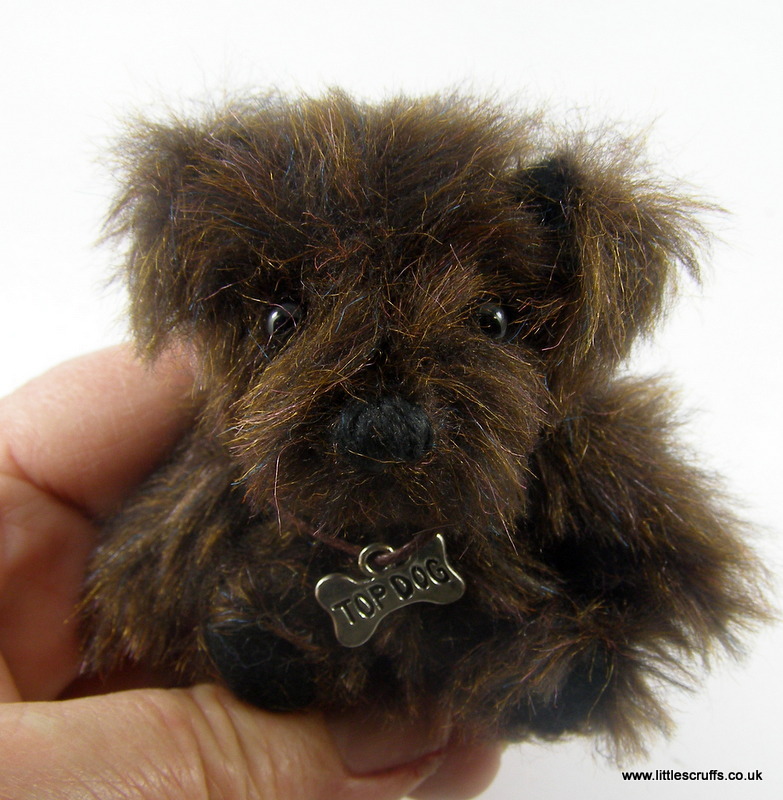 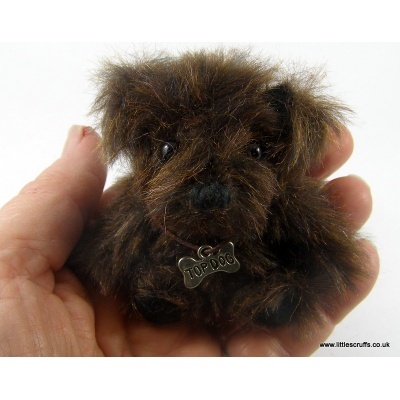 The chocolate brown fur has tiny threads of colour only noticed close up. 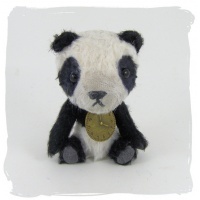 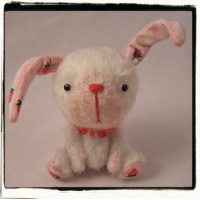 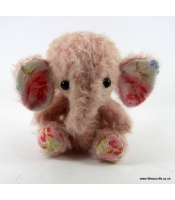 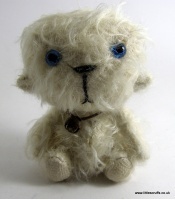 Ollie is approximately 31/2 inches tall when standing and has black glass eyes and an embroidered, waxed nose. 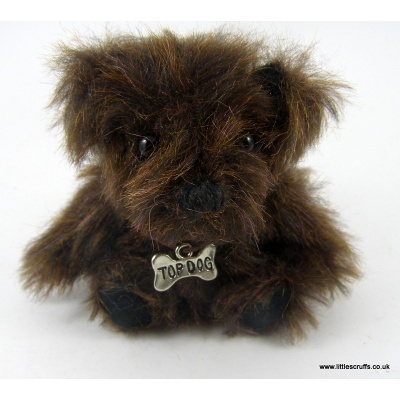 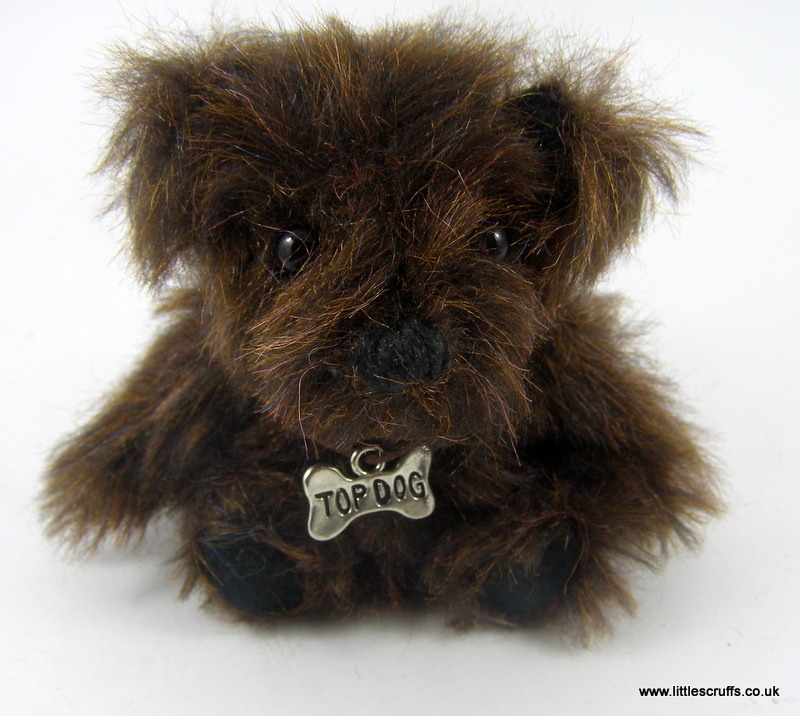 He has felt feet and wears a silver coloured "Top Dog"charm around his neck. 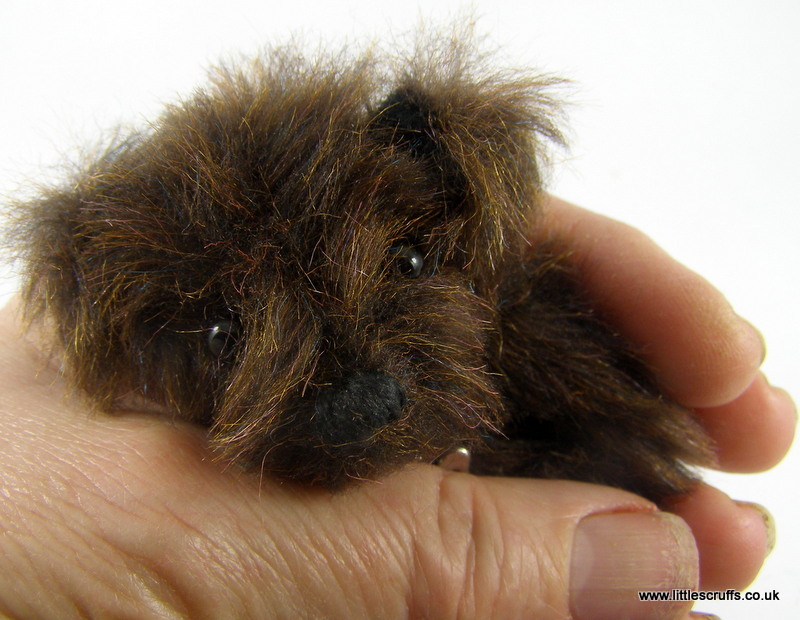 He is fully cotterpin jointed and stuffed with kapok. 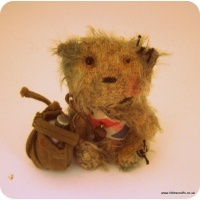 He has steel shot in his body for added weight.